The nation's capital has the largest commuter surge in the country, with close to a half-million people a day coming into Washington, D.C. -- proportionately more than any other city in the country. Has your commute been getting better or worse? How has it changed? And what’s the toughest part of your commute? Post a comment in this story, comment on WTOP’s Facebook Page or use #WTOP on Twitter. 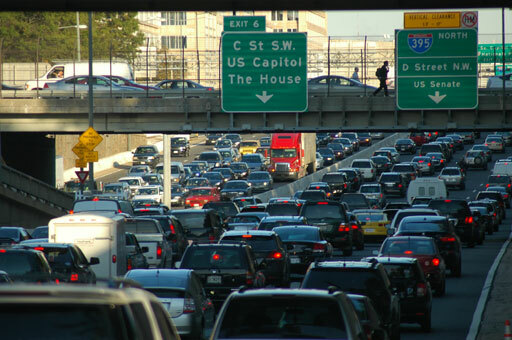 WASHINGTON – The nation’s capital has the largest commuter surge in the country, with close to a half-million people a day coming into Washington, D.C. — proportionately more than any other city in the country. New census figures from 2010 show the District’s population rose from 584,000 to 1.05 million each day, an increase of 79 percent. The next closest city was Boston, which grows each day by 40 percent, followed by Houston, Denver and Seattle, The Examiner reports. In terms of overall numbers, cities such as New York and Los Angeles still have the most commuters heading into them each day. But D.C. ranks 10th for the total number of commuters it brings in each day.